Incinerators burning garbage in India. Hundreds of hydroelectric dams in Panama. Biogas extracted from palm oil in Honduras. Eucalyptus forests harvested for charcoal in Brazil. What do these projects have in common? They are all receiving carbon credits for offsetting pollution created somewhere else. But what impact are these offsets having? Are they actually reducing emissions? And how are they affecting the people who live in these countries? THE CARBON RUSH takes us around the world to meet the men and women on the front lines of carbon trading. So far their voices have gone unheard in the cacophony surrounding this multi-billion carbon industry, nicknamed "green gold" by its beneficiaries. Indigenous rain forest dwellers are losing their way of life. Waste pickers at landfills can no longer support themselves. Dozens of Campesinos have been assassinated. 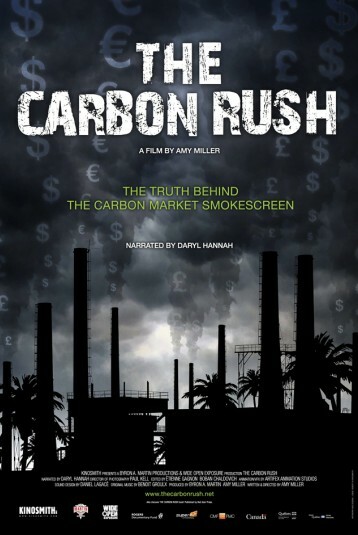 THE CARBON RUSH travels across four continents and shows the connection between these tragedies and the United Nations' Clean Development Mechanism. This groundbreaking documentary feature reveals the true cost of carbon trading and shows who stands to gain and who stands to lose.